By 2020 all children in school will be taught basic lifesaving skills under new government plans for health education. These lessons will be rolled out next year across England, following years of campaigning by the BHF and others. Every child will now leave school with the key skills needed to save lives. According to the British Heart Foundation, these plans mark a “decisive moment” in improving cardiac arrest survival rates. In the UK alone each year, there are 30,000 out-of-hospital cardiac arrests and fewer than 10% of these people survive. 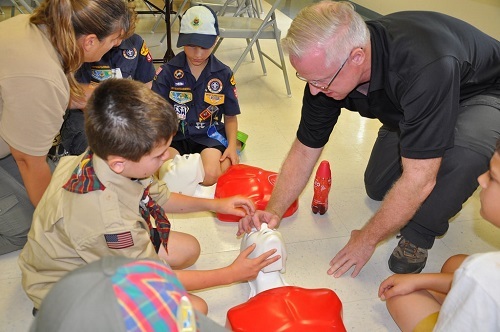 However, in countries where CPR is taught in schools, the survival rate has doubled. There’s no doubt that we’d all want the same in the UK! All before they leave secondary school, our children will have the knowledge in relation to the purpose of defibrillators, basic treatments for common injuries and how to administer CPR. Learning these skills will help to keep them safe and help others when in the face of an emergency. What does this mean for those of us who are no longer in school? We can all see the benefits to children learning First Aid however, often we feel too busy to find the hours needed to complete a course ourselves. Really, we are just hoping that accidents won’t happen to us or anyone around us and if they do there will be someone there to take charge and help. But that won’t always be the case. What we need to ask ourselves is, how confident we would feel if faced with a medical emergency occurring in our workplace, home or school? In the event of injury or sudden illness in the workplace, failure to provide first aid could result in a casualty’s death. The Health and Safety (First-Aid) Regulations 1981 require employers to provide adequate and appropriate equipment, facilities and personnel to ensure their employees receive immediate attention in the event of an emergency. Do you want or need to equip your workplace with first aid skills and prepare yourself and your staff for any medical emergencies that may arise? An employer is required to carry out an assessment of first-aid needs for their organisation. This involves consideration of the size of the organisation, workplace hazards and risks and other relevant factors, to determine what first-aid equipment, facilities and personnel should be provided. Are you prepared? 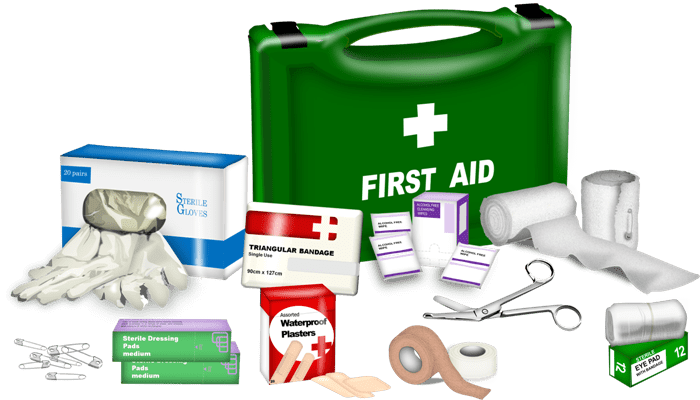 Have a fully stocked first aid kit – A first aid kit is needed in the workplace for small injuries to be easily dealt with, such as grazes and bruises. It’s useful for all staff to know where the first aid kit is located in case of an injury, not just the appointed first aider. 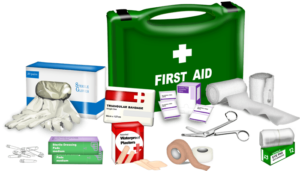 One or more workplace first aiders – For a low-risk environment such as a small office or library, there needs to be at a minimum, a fully stocked first aid kit and an appointed person to manage all first aid arrangements in the face of an emergency. High-risk workplaces such as larger offices or organisations, will require a trained first aider and a first aid needs assessment. The government will offer support to schools who want to introduce the scheme this year, before it becomes compulsory in 2020. We can be supportive too and ensure we are up to the required standards with first aid personally and as an organisation. Copyright © 2018 Live Better Locations Ltd - All Rights Reserved.